How do I submit an accident claim? It is recommended that you speak with our car accident lawyers for advice and guidance. Call us today for a free consultation. Home > Blog > How do I submit an accident claim? After an accident, it is important to notify the right parties of a potential claim. The failure to do so can sometimes lead to problems, including the potential denial of a claim. If you have been involved in a car accident, it is important that you notify your own auto insurance company of the accident as soon as possible. This will start the claims process, and depending upon the coverages available under your policy, will start the process of getting your car repaired and getting your medical bills paid. 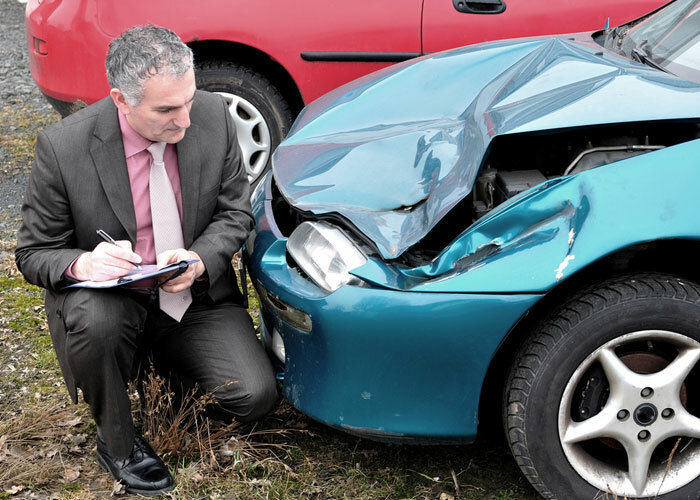 If you were at fault in causing the accident, it will also give your insurance company an opportunity to begin to investigate the facts surrounding the accident so that your insurance company can protect you from any potential claims that may be made against you. Most every policy requires you to cooperate with your insurance company into the investigation of the claim, so your insurance company may ask you to provide a statement regarding how the accident happened. Your failure to cooperate with your insurance company into the investigation of the claim can result in the insurance company denying coverage for the claim. Likewise, as most insurance policies require you to timely notify it of an accident or claim, your failure to do so can result in the insurance company denying coverage for the accident. The reason for this is because insurance companies want to begin the investigation into the accident as soon as possible after it occurs, when the recollections of the witnesses are still fresh and when all of the evidence should still be available. If you notify your insurance company of the accident long after it occurs, the insurance company may deny the claim on the basis that its ability to investigate has been prejudiced due to the passage of time. If someone else is responsible for an accident, it is also important to try to notify their insurance company of the incident as soon as possible. In the event the responsible party doesn’t notify its insurer of the accident, your notice to the insurance company will trigger the start of claims process and potentially avoid a denial of coverage by the insurer due to late notice by its policyholder. However, the injured party has no obligation to cooperate in the investigation of the accident by the at fault party’s insurance company. If the at fault party’s insurance company asks for a recorded statement or medical authorization (in order to obtain medical records), it is often best to decline to do so. Each case is different, however, and in is recommended that you speak with a car accident lawyer Phoenix counts on for advice and guidance if the responsible party’s insurance company asks for this type of information. Other insurance companies should be notified of an accident as well. For example, if you are injured, unable to work and have disability insurance, the disability insurer should be notified of a claim. Usually a phone call to the disability insurer is enough to start the process, although you may be required to complete and sign additional forms. If you have been injured while on someone else’s property, the insurance policy covering the property may have something called “medical payments coverage.” This coverage will pay for any medical expenses you incur if you have been injured on the property. This coverage generally does not require proof of fault on the part of the property owner, so even if the accident was your own fault, you can get the benefit of this coverage. The amount of coverage available is usually modest-$5000 or under. Once again, however, you must provide timely notice of the accident to the insurer in order to get the benefit of this coverage.